Pound the pavement—the safe way. The weather is finally starting to feel more like spring. You may be itching to ditch the treadmill and hit the pavement for a nice run. 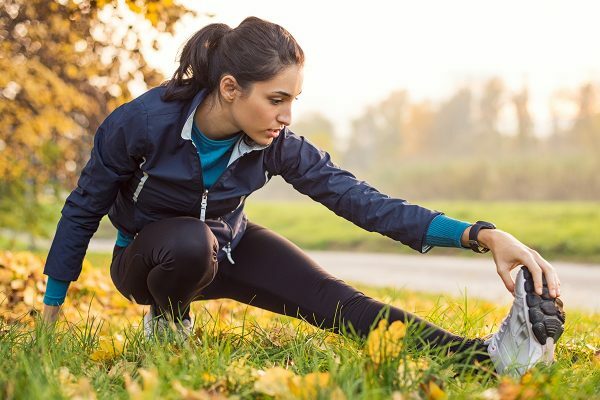 For many of us with day jobs, the most realistic option for squeezing in an outdoor workout is either before that first cup of coffee or after hours. As relaxing as a morning or evening jog can be, you’re probably hitting the streets in the dark. Don’t let a little a.m. or p.m. run deter you. 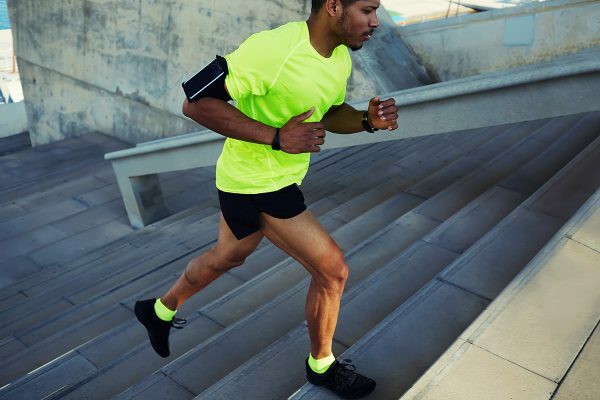 Armed with a few key tips, you can stay safe and enjoy your run—any hour of the day. Read on for Aaptiv trainers’ top tips for staying safe while running in the dark. When you lace up for a night run, make sure that you’re following a route that is well lit. This will help you keep your eyes peeled for any other runners or vehicles around you. Additionally, it will actually prevent you from any potential injuries. Your best bet is to opt for a path with street lamps or, better yet, a track with stadium lights. However, if your favorite route lacks both, it’s smart to have a light on you. Don’t want to pack a baby flashlight? Bring your phone along as a light source or even opt for light-up gear. There are many hats, headbands, and straps with built-in lights to help guide the way. Wear reflective or bright clothes. This might seem like an obvious option, but it’s the easiest way for a runner to keep safe while running in the dark! Unfortunately, it’s one that’s often overlooked. Take the time to invest in some kind of gear that is reflective. Aaptiv trainer Rochelle Moncourtois suggests looking for a vest, shirt, or shoes featuring reflective material to help make you more noticeable on your run. Whether it’s another runner, a bike, or a car that you encounter on your run, you want to make sure that they see you as much as you see them. “The most dangerous thing about running at night is not what you do, but what the people around you do,” says Takacs. Now, if you’re really anti-neon yellow leggings, you can always snag some reflective tape or stickers used by cyclists to outline key parts of your favorite running gear. No matter what you do though, make sure that you’re visible to those around you—it’s safest for everybody! This is just a general rule of thumb for runners all the time. Unlike cyclists who should follow traffic laws, runners who opt to run on the street should run facing traffic. This ensures everyone on the shared street has complete visibility of each other. Again, you want to see and be seen. Just because you may not find yourself under the light of the sun doesn’t mean that you can’t overheat or dehydrate! Your body will still need the same fuel during a morning or evening run. In fact, Aaptiv trainer Kelly Chase suggests carrying hydration with you unless you know you’ll be running near places that serve water. If you’re training at a local track, make sure that there are water fountains nearby for pit stops. However, if you’re blazing your own trail, you might just benefit from a portable water bottle. This especially true as we move into spring and summer when temperatures rise. You can expect the humidity to also creep up on you, too. H2O is always a good idea. The last thing you ever want to feel while running (regardless of when you choose to train) is being caught off guard. All of our trainers caution that outdoor runners should be on guard and alert–always. As much as running and a good playlist may go together, running with headphones may not be a great idea at night. 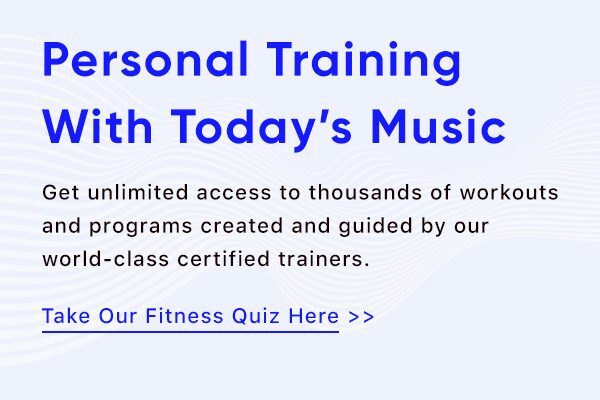 “If you use headphones, keep the volume at a level where you can still hear what is going on around you,” says Aaptiv trainer Jennifer Giamo. If you’re feeling really fancy, consider bone-conduction wireless headphones. They actually send sound waves via vibration, keeping your ears totally open to the noises around you. Although the peace and quiet might be nice, it’s crucial to be aware of your surroundings at all times. That’s why you should especially ditch the noise canceling headphones, cautions Takacs. This will help keep you alert for anyone or anything that may approach you. The best option? 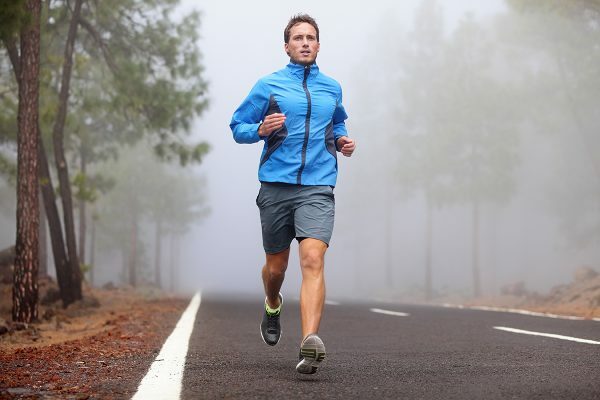 Lose the headphones altogether and just enjoy the peace and quiet of your run! Bring an identifier and your phone. All of our trainers agree you should never run without something to identify you. Nowadays, this is usually your phone. Your phone is a great way to help others identify you or call for help should you have an accident or need assistance. It’s also just safer for you to have on hand. Although your phone is a must-pack device, Giamo warns not to let it become a distraction, either. Try not to fumble with your phone or keep checking it too much. It will distract you from your workout and from your surroundings. While your phone is a great identifier and safety backup, ultimately you should still carry a proper ID as well. If you don’t feel comfortable toting your license around, Moncourtois notes that there are ID bracelets for runners that act as great identifiers, too. Tell someone where you’re going. Another good idea for runners, no matter the time of day, is to always let someone know you’re headed out for a run. A simple text to a friend or family member letting them know your route can help act as an added level of security. 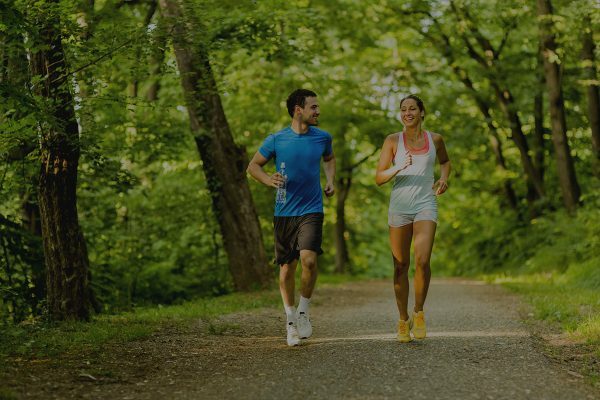 Better yet, bring a running partner with you to keep you company on your run. Don’t have a roommate that you can convince to join you for a 5 a.m. run? Use technology to let your crew know your whereabouts. “You can also turn on the tracking device on your phone that allows a friend to track you on their iPad using GPS technology,” says Giamo. There are even apps that can help keep runners’ safe when running solo. Giamo suggests Bsafe, an app for runners and walkers alike that utilizes GPS technology and alarms to keep you safe. “With a push of a button, this app acts as a siren, records video, alerts authorities, and tells them your GPS location,” she says. As with any time you step out for a run, it’s important to know your surroundings. This is particularly important when running in the dark, as streets and paths may look slightly different without the light of day. According to Chase, a good way to get to know the area is to take a drive during the day down the street you’re planning to run on later. She says you can even walk the street or trail during the day with a friend first so that you know the path and don’t anticipate any surprises! But don’t be afraid to switch it up. Now, we’re not saying go off course or use this time to explore a new route. Instead, don’t be a creature of habit too much. Giamo says to be sure to switch up your running course from time to time; just in case. Chances are that you won’t need to worry about anyone keeping track of your training schedule. However, switching things up so that you’re never at a certain place at a certain time without anyone knowing is just an added safety measure. Plus, it keeps your workout fresh and fun! Although arming yourself with the above skills and knowledge will help you prepare for the road ahead, never underestimate the power of confidence. Stay focused on your run and your surroundings for the sake of your workout—and for the sake of being vigilant. Run with confidence and strength so that you never appear vulnerable. Most importantly, enjoy the run! 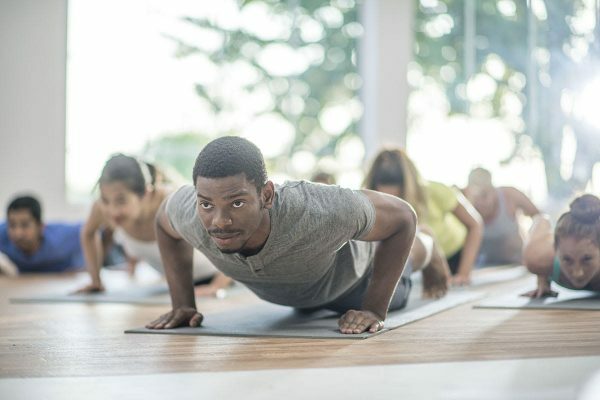 Try these six challenging exercise tests to find out how fit you really are. Aaptiv 101: Introducing Aaptiv Stair Climber Workouts! 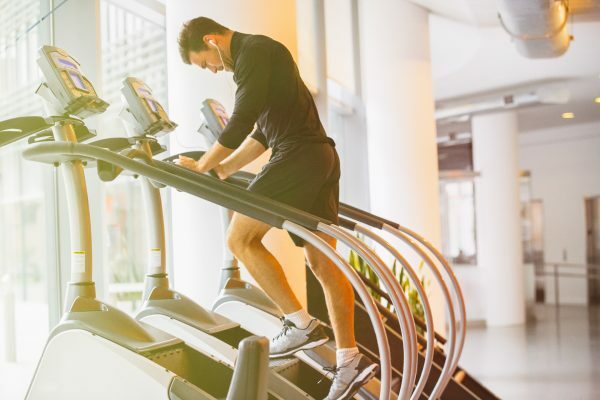 How to get fit with Aaptiv and the stair climber. Should You Take Painkillers During Long Runs? Getting ready to put in some miles? Learn why painkillers can hurt, not help, your run. Running in the summer doesn't have to be miserable. From stronger muscles to more thoughtful running, yoga boasts multiple benefits for runners. Why Do I Feel Like I’m Going to Throw Up After a Workout? Sweaty limbs, sore muscles, and...nausea? 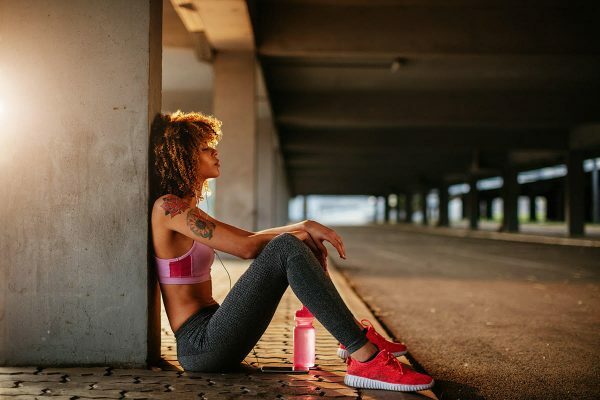 Exploring the sick feeling we sometimes get post-workout. 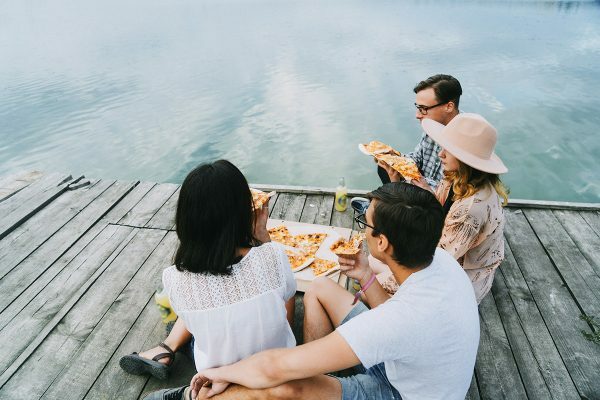 Have your pizza and eat it, too. 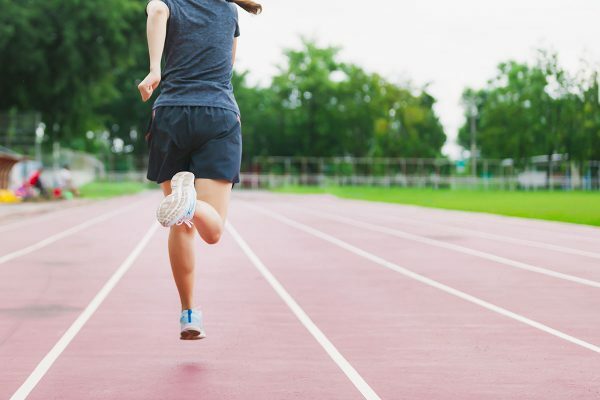 Ready to run a race but not sure how to find your training pace? Aaptiv's coaches share their tips and tricks here! Expert-approved moves for strengthening those running muscles.